Above: Phones like the Punkt MP 01 and Light Phone hope to tear people away from their smartphones, at least temporarily. James Freeman is typically glued to his iPhone. But one day a week he pops the SIM card out of the device and slides it into a similarly stylish but much dumber handset that can be used only for phone calls and rudimentary texting. Made by a Swiss company called Punkt, the black phone looks more like a luxury item than your average dumb phone. It has a dimpled, angular back and round mechanical buttons—no touch screen—that have a pleasing click when pressed. And at $295, it’s priced like a luxury item, too. In a world overtaken by smartphones—72 percent of U.S. adults now have one, according to Pew Research Center data—Freeman sees the Punkt cell phone as a way to be less distracted, even if only for a little while. It doesn’t have access to the Internet, or any games or apps. To get a cab, Freeman, the founder and CEO of a coffee shop and roasting company called Blue Bottle Coffee, has to call one. And while he can text, he must go back to doing it with the T9 (that’s “text on 9 keys”) method by tapping the phone’s buttons. “I won’t pay attention to them unless I have to; unless I force myself,” he says. With a Light Phone, which is the size of a stack of credit cards, you’ll be able to make and take calls, but not send or receive texts. We all know the smartphone can be enormously useful for things like banking, shopping, and sharing photos. But who hasn’t been troubled as well by the way it can also be a spellbinding force, separating you from the world and people around you? Even if you try to be more mindful of your physical surroundings, you might pull the phone out of your pocket to check an alert, and “before you know it, you’ve spent half an hour on Facebook or Twitter and you never finished the thing you started to do in the first place,” says Daniel Ashbrook, an assistant professor at the Rochester Institute of Technology who studies tech-related distraction and directs the school’s Future Everyday Technology Research Lab. Smartphones are in fact so hypnotizing that it shouldn’t be surprising that breaking the spell might require more technology, like the simplified phone from Punkt, rather than simply trying to leave the device off or at home for a while. Petter Neby, founder and CEO of Punkt, says he hopes to help people set boundaries between personal and professional life—lines that have blurred as the smartphone has made it possible to check in on work anywhere, at any time. Punkt’s MP 01 phone is meant to be simple—it has no touch screen and can be used only for calling and texts. Punkt has been selling simple electronics meant to be nonintrusive since 2008; its roster includes a cordless landline phone as well as an alarm clock. It released its first dumb phone, the MP 01, in September. Like Freeman, most people who buy an MP 01 also have a smartphone; some forward calls from the smartphone to it, or have a SIM card for each handset (the phone works over 2G networks, so in the U.S. you’d have to use it with T-Mobile). Neby says people tend to use it to “log off” from the smartphone on the weekends or during dinnertime; that way, they can still make and take calls but feel more focused. Getting to that point doesn’t come easily, however. Freeman admits to feeling some fear-of-missing-out anxiety on days he switches over the Punkt phone. “It’s like I’m going to free climb El Capitan: do I have everything I need? Will it be dangerous for me to leave the house without this object?” he says. 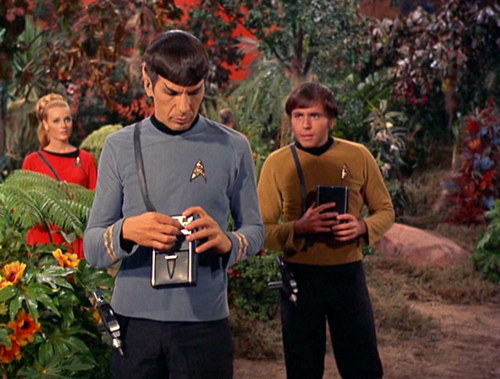 Douglas Rushkoff, a media theorist and author of Present Shock: When Everything Happens Now and Throwing Rocks at the Google Bus, says that people are so tied to their phones, especially in new places, that they remind him of Star Trek’s Mr. Spock using a tricorder to explore an alien planet. But he is skeptical that simpler devices like the Punkt can really help lessen our dependence on smartphones. Joe Hollier and Kai Tang hope to give people even more control over their connectedness when they release Light Phone, a $100 handset the size of a fat credit card, in June. The device works with your smartphone to forward calls but can also operate on its own. It has a button-free face that lights up to show just a number pad and tiny display when you press the power button. An accompanying smartphone app lets you restrict who can reach you when you’re using the diminutive device. You can call whomever you want but you can’t send texts. “It really is what we call ‘designed to be used as little as possible,’” Hollier says. Its ethos is evidently appealing to some people: Light Phone raised $415,000 via a Kickstarter campaign last May and has taken orders for about 5,000 phones so far.